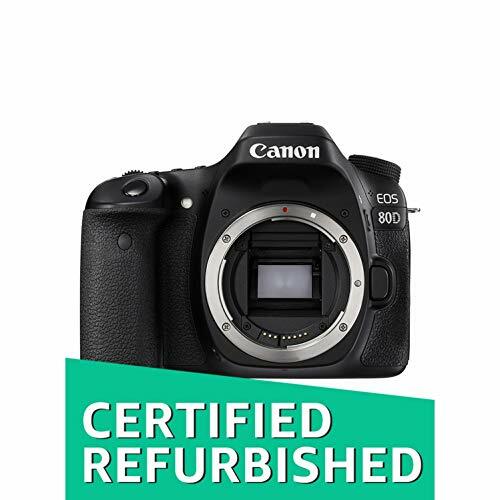 Sporting a new higher-resolution 24MP sensor, Canon EOS 80D has a faster processor. It’s beefed-up with 45-point AF system. 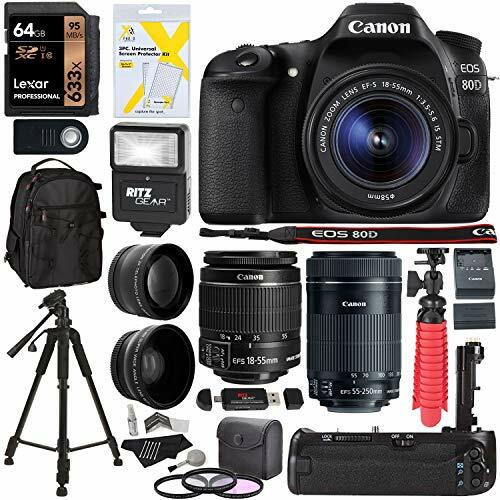 This enthusiast DSLR is built upon the foundation laid out by the 70D and its superior Dual Pixel CMOS AF technology. The Canon 80D does an excellent job on various fronts. It has better dynamic range and detail lower ISOs. This camera has better higher ISO performance and more versatile autofocus. Despite a robust offering on videos, it misses out on today’s favorite features. 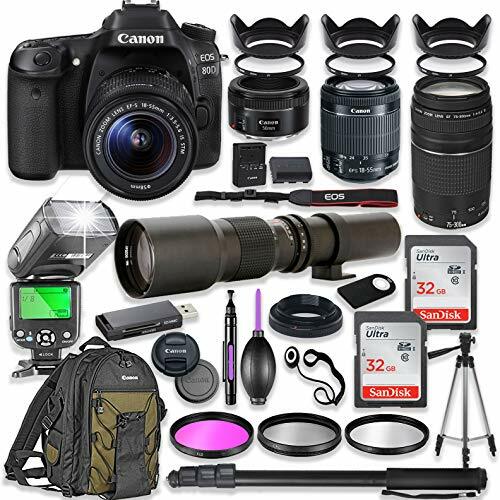 All in all, the Canon 80D is an excellent enthusiast DSLR. 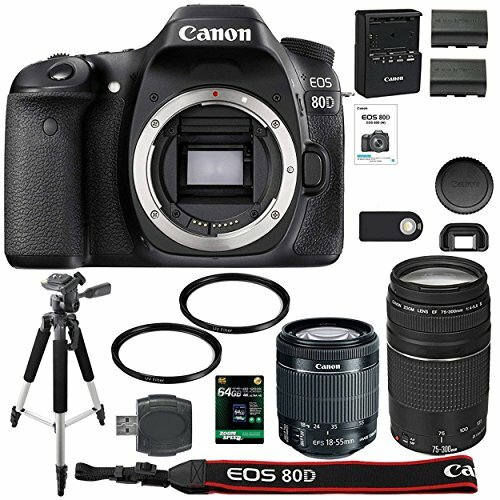 The Canon EOS 80D appears nearly identical to its 70D predecessor. 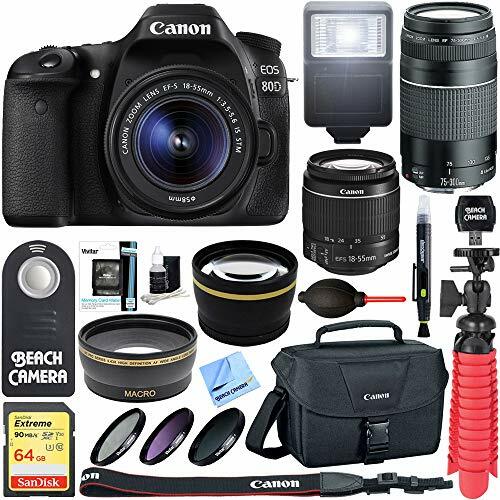 The Canon 80D’s size and weight hits a nice balance between relative compactness and a comfortably-sized enthusiast DSLR for a variety of hand sizes. As before, the 80D provides a sizeable handgrip with ergonomic contours and a highly textured rubberized coating for a comfortable, secure grip. 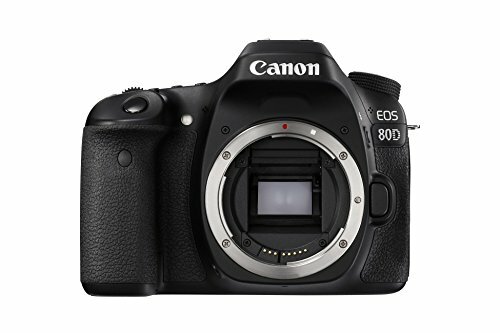 The Canon 80D features a 3-inch touchscreen LCD display with a convenient Vari-Angle articulated design. You enjoy excellent video recording plus shots in awkward positions and angles. The 3-inch TFT LCD touchscreen panel features 1.04-million dots of resolution as the 70D. This camera for enthusiasts includes 7-step adjustable brightness control and a smudge-resistant coating. 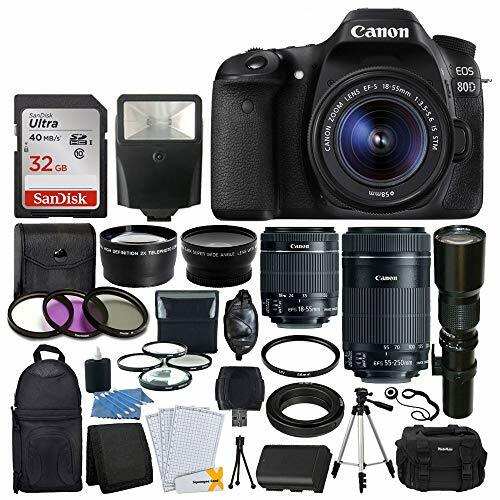 Canon EOS 80D is the real deal for sports shooters and others who capture fast action under indoor or flickering artificial lighting. It helpfully gains the anti-flicker system that was first introduced on the 7D Mark II. With this system, the camera will be able to detect the fluctuating brightness cycle of artificial lights. 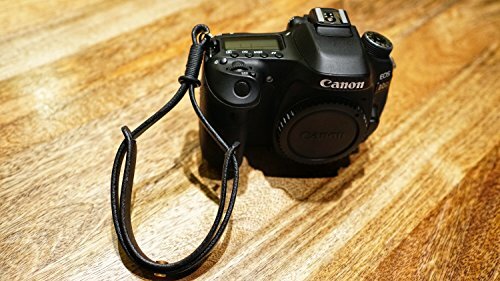 It subtly adjusts the timing of the shutter release in single-shot mode. Or, during a continuous burst of frames to capture images at the optimal brightness. 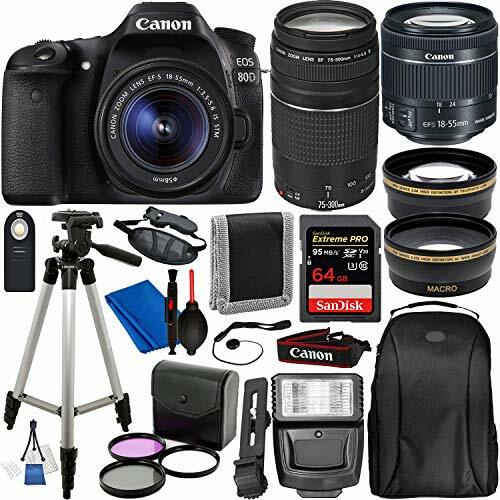 Canon 80D offers solid performance in the picture quality department on all fronts at both low and higher ISOs. The new 24-megapixel APS-C sensor puts the Canon 80D more in-line with many major competing APS-C cameras. It gives you excellent and highly detailed images. Despite the increase in resolution, the Canon 80D’s new sensor also shows modest improvements. It comes with a higher maximum native ISO over the 70D. You get to experience lower shadow noise with improved RAW high ISO performance. Thanks to the DIGIC 6 processor, the Canon EOS 80D offers Full HD video capture up to 60p. 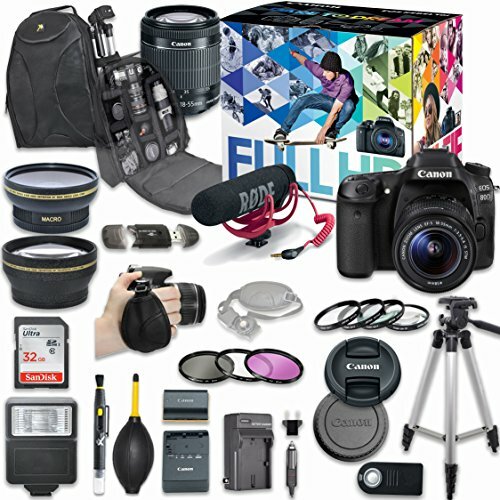 It is versatile for capturing faster action video and other moving subjects. Of course, 30p and 24p options as well as the PAL-specific 25p and 50p frame rates are also available for 1080p footage. 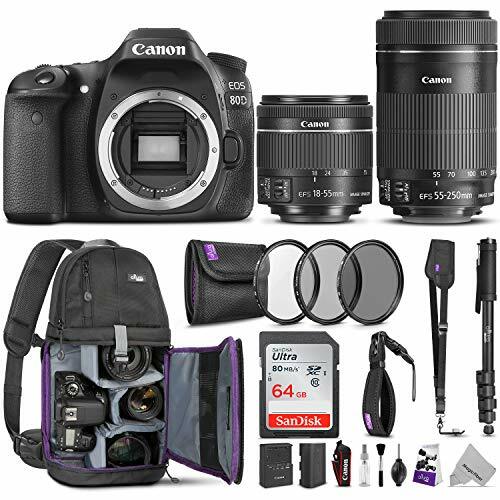 The Canon 80D features Canon’s HDR movie and in-camera time-lapse video modes. You get to enjoy a variety of real-time video filters for additional creative options.